Just a quick reminder for our readers that we still have a great deal on the Touch Board DIY Starter Kit in our deals store, you can save 6% off the normal price. The Touch Board DIY Starter Kit normally retails $150 and we have it available for $139.99 in our deals store. The world around you is an untapped goldmine of imagination, and the Touch Board wants to usher you into that world. 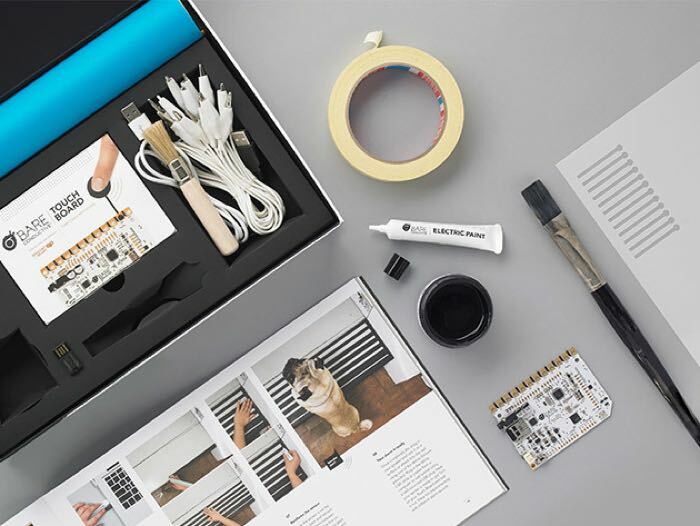 Using the Electric Paint and an easy-to-use ArduinoHeart microcontroller, you can turn almost any material or surface into a sensor to create music, tell stories, build alarms, and much more. This is the one stop imaginarium for inventing anything you dream up. You can find out more details about the Touch Board DIY Starter Kit over at our deals store at the link below.